Taste of the Wasatch doesn't take place until Sunday, Aug. 6. However, it's never too early to get your tickets for this immensely popular charity event, since the yearly food and drink extravaganza is bound to be a sellout. By purchasing tickets before May 1, you'll be in the running to win a stay at Solitude Resort that weekend. 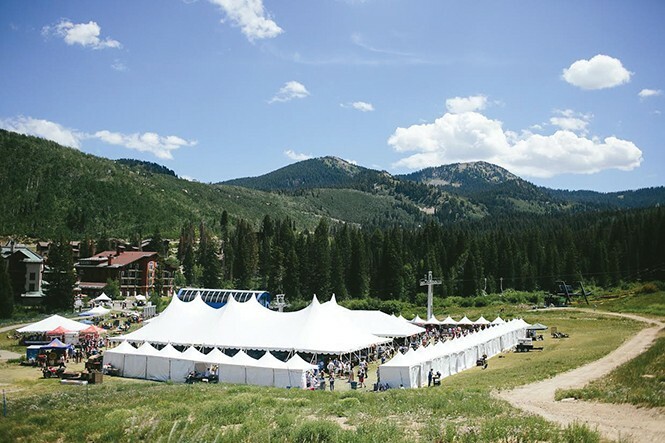 Hosted by the resort and co-sponsored by Nicholas & Co., Taste of the Wasatch features dozens of chefs and restaurants, wine, beer and other beverages, live entertainment, silent and live auctions and much more. Proceeds benefit local nonprofits working to fight hunger and food insecurity issues in our communities. To purchase tickets—a portion of which is tax-deductible—visit tasteofthewasatch.org. Avenues Proper (376 Eighth Ave., SLC, 385-227-8628, avenuesproper.com) turns 4 years old this month, and the restaurant is celebrating with an anniversary dinner on Sunday, April 30, starting at 6 p.m. Guests can expect a lineup of some of Proper's favorite beers brewed on their original in-house five-barrel system, including this year's release of the Avenues Annual Kettle-Soured Saison. The menu features dishes such as confit melon soup, steamed sable fish and three-way rabbit paired with Freaky Deaky Dutch Kuyt Oat Ale, Avenues Annual Saison, Ostara Triple IPA, Gruit Belgian Dubbel and Chai Hulud Saison. There's even an interesting intermezzo of Gose with Jell-O shots. The cost per-person is $75 for food and $20 for the optional beer pairings. Reservations are required and can be made by calling Avenues Proper. Riverhorse on Main (540 Main, 435-649-3536, riverhorseparkcity.com) in Park City serves up brunch this Easter Sunday and then picks up again, after a spring hiatus, with weekly Sunday brunch beginning May 14. From 10:30 a.m.-4 p.m., patrons can dig into entrées like cheddar-cheese biscuits and gravy, smoked salmon scramble, seafood Cobb salad, shrimp-and-cheddar grits, huevos rancheros and much more. Quote of the week: "I live on soup, not on fine words."